MINNEAPOLIS, Minn. — As CEO for Thrivent Financial, a Fortune 500 membership organization of Christians, Brad Hewitt eagerly awaits his annual two-week getaway in Colorado with his family. Together they spend two winter weeks cuddled up in a time-share style townhouse in the Rockies. Hewitt admits, though, he doesn’t need a bigger, better place to vacation. Generosity is how he breaks the cycle. Serving alongside his wife, the couple volunteers for a nonprofit that repurposes blighted properties into homes for people in need. That is a living motto for the not-for-profit Thrivent, which provides insurance and other financial services for its owner-members. Founded more than a century ago as a fraternal benefit society serving Lutherans, the organization voted four years ago to extend its offerings to the broader Christian community. 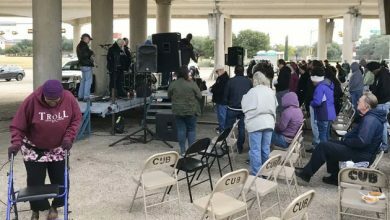 “We believe all we have is a gift from God, and we are called to be good stewards,” Hewitt said. By the end of 2016, Thrivent’s assets were more than $116 billion, with $9 billion in surplus. Last year, Thrivent and its members tooled more than $217 million to churches, nonprofits and individuals in need. 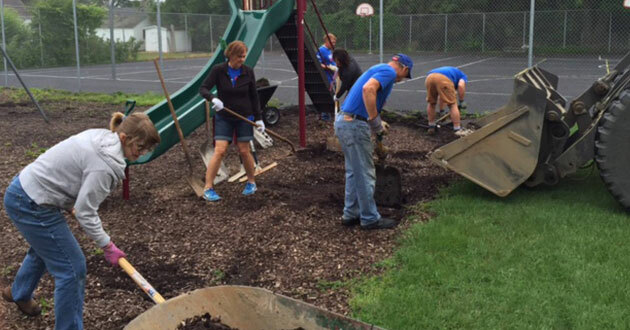 Also in 2016, its members volunteered more than 11.3 million hours. Much of that volunteerism comes through two of the organization’s generosity programs, a partnership with Habitat for Humanity and Thrivent Action Teams, where members apply to lead a one-time fundraiser, service activity or educational event that responds to unmet community needs and can be completed in 90 days. “I have found most financial planners give advice about the mechanics of money management and tactical goals, such as debt repayment, retirement planning, college funding and the like, without talking about the heart motivations,” Hewitt said. Over time, the CEO noticed that Christians, including himself, often struggled with the concept of money and joyful generosity. “It became clear to me we need to talk about money in a different way,” he said, adding that marketing messages often derail best intentions. Hoping to further model the concept of the generosity, all proceeds from the book will be going to Thrivent’s fraternal programs, including Thrivent Builds. Arnold is an award-winning freelance writer from San Diego, Calif. Contact her at storylori@gmail.com. To learn more about Thrivent, visit http://www.thrivent.com. 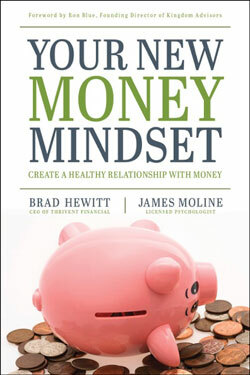 To access the New Money Mindset Assessment online tool, visit http://www.newmoneymindset.com/assessment.